It's such an evocative image, isn't it? The American traffic light hanging over the road, the stuff of so many films. 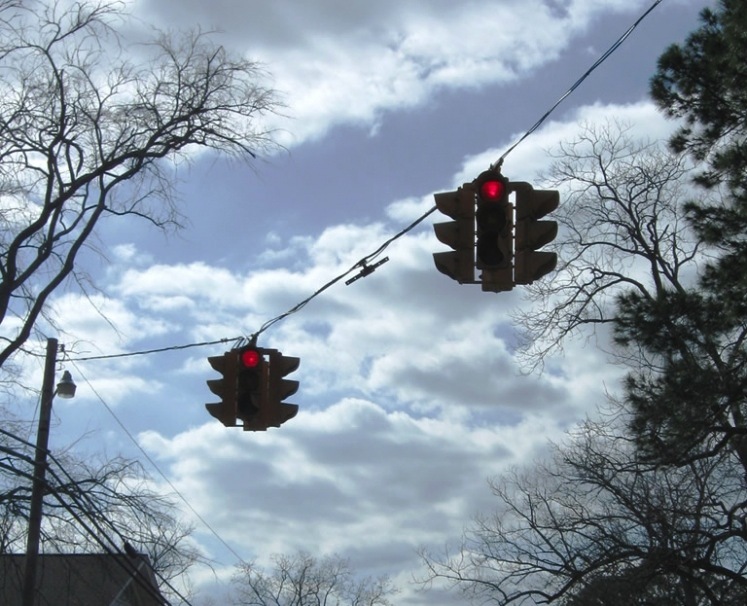 That's exactly where our US traffic light pendants started their lives. Predominantly manufactured by Crouse Hinds, each traffic light we have restored has a slightly different design- noted by the end detailing- and we refurbish sensitively according to their needs. 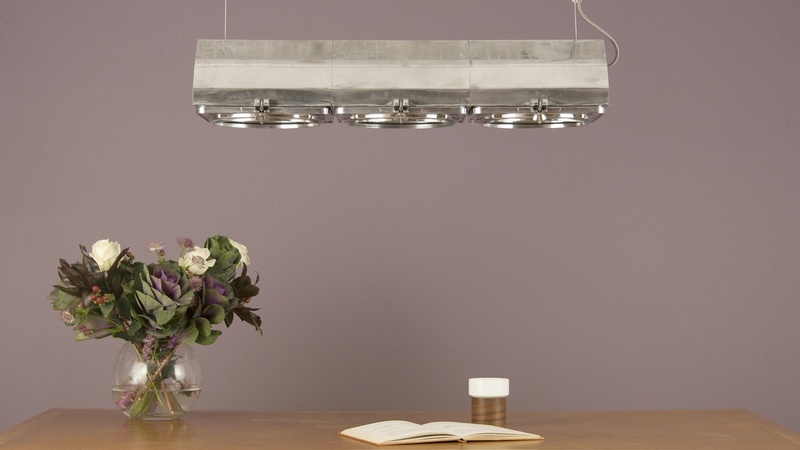 Some we keep as sets of three, perfect for a suspended feature pendant light over a table or counter top. 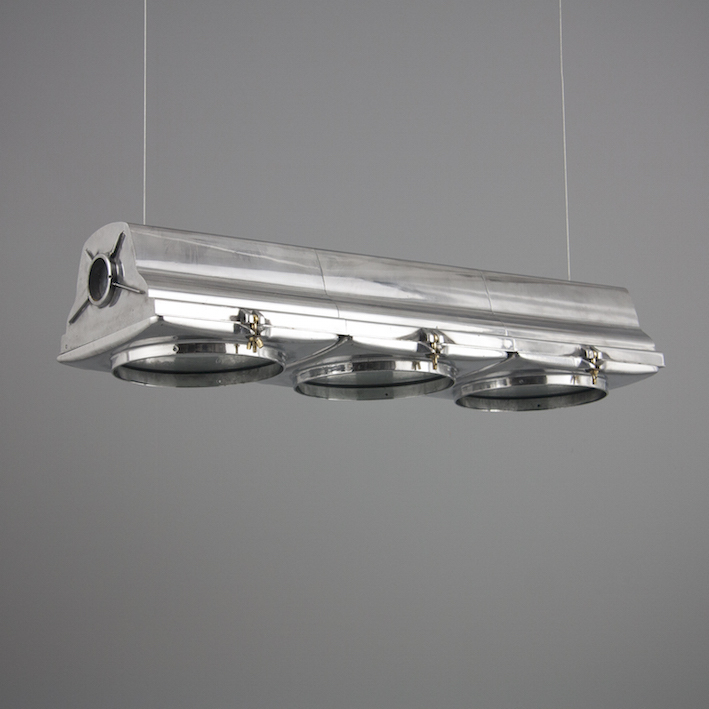 Others we restore to single suspended ceiling lights they make a great feature ceiling light with a surprising story. 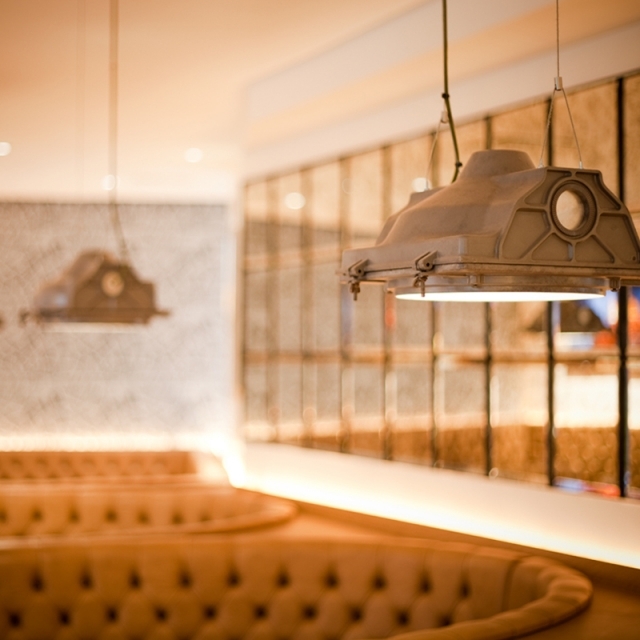 And here they are put to great effect in Hush Brasserie, one of our skinflint projects.